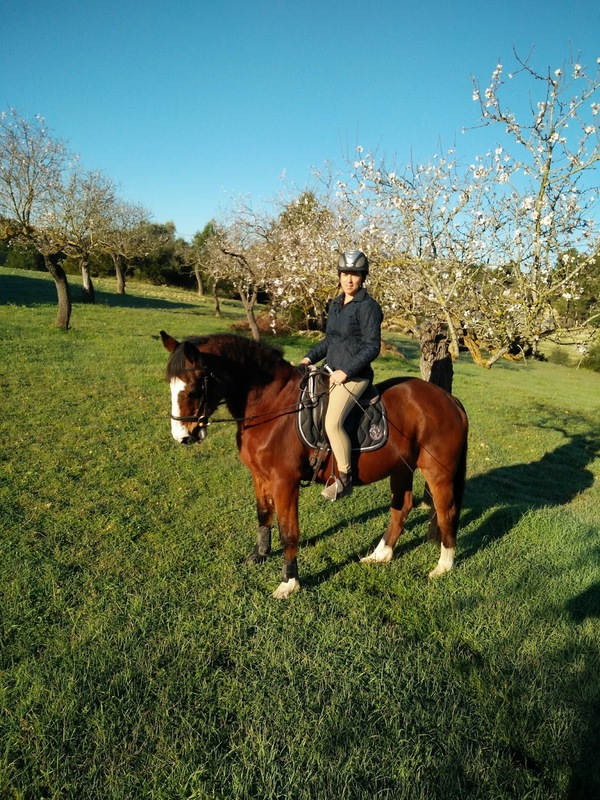 Midlife in Mallorca: It's never 'Just a horse'! She wasn't mine, but the shock was there - she wasn't supposed to go. I didn't even know her long, but the tears flow. With the kindest heart and deep chestnut eyes, which weeped each spring. With dinner plate feet and hard muscles telling a story of times past, with a slowness of gait and a promise of speed, with a gentleness so great with those little and new - and a feisty-ness so alarming when you thought you knew best. A horse who knew only love, who's time just wasn't up. Dear Poppy, I wish you could have lived a little bit longer so I could kiss your velvety nose again, touch your face and tell you how much you meant to me. Just one more time. We all feel so very alone without you. Run free big girl - wait for us on the other side.